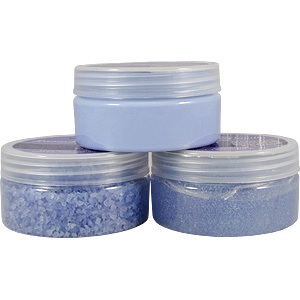 Step 1: Add these soothing granules to your bath or massage machine with warm water and let the heat and aromatherapy relax your tired feet. After 10-20 minutes of soaking, pat dry with towel. Step 2: Apply this gently foot scrub to your feet and massage thoroughly using a wash cloth or foot brush. 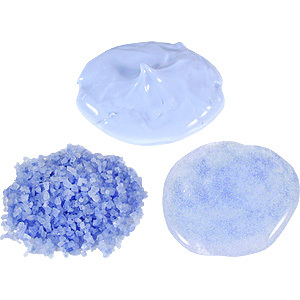 Rinse thoroughly to remove rough skin and granules. Pat dry with towel. 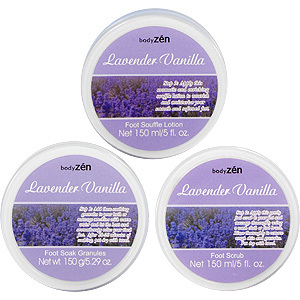 Step 3: Apply this aromatic and enriching souffle lotion to nourish and moisturize your smooth and softened feet. Warning: Do not apply around eyes or on lips. In case of eye contact, flush thoroughly with water. 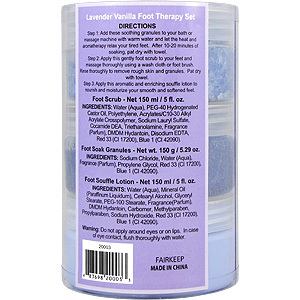 Naomi "Lavender is the best"
I have tried all the different scents of this foot therapy set and this is my favorite. 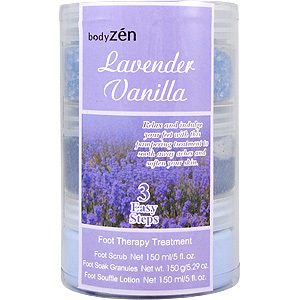 I love the smell of lavender and being able to make your feet smell great and feel great is perfect. I just like to indulge my feet in some of these foot therapy sets. Diane "Love the way it leaves my feet"
The therapy set is great for making your feet nice and silky smooth. The great feeling of my soft feet makes me happy because they are normall so dry. 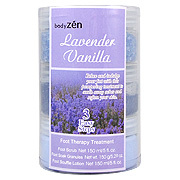 Lavender Vanilla Foot Therapy Set is shipped in a discrete, unmarked package. Orders are processed immediately and usually takes about 3 to 5 working days to be received. We do ask that you try it for 2 to 3 weeks to feel the full effects. Any information received is used only for order processing and shipping purposes. Your information, such as e-mail address, will never be disclosed to a third party.